January – it’s that time again when many of us take stock of the previous year and set goals for the new one. New year’s resolutions are usually all about self-improvement. After all, who wants to be worse at something in 2017? We want to get more organized, save more money, read more books, take up new hobbies, spend more time with friends, and so on. So why are resolutions so hard to keep? While that may be difficult to answer here, a recent CNN article offers some practical advice to help us achieve what is often at the top of our resolution lists – get healthy and get fit. Keep smiling – have fun! Pilates exercises target your core -- the very center of your body, including deep abdominal, back and pelvic floor muscles. A strong core supports your frame, gives you better posture and helps you move more efficiently. Pilates also works your whole body, targeting major and minor muscle groups in a balanced way – not overworking one group and neglecting another. 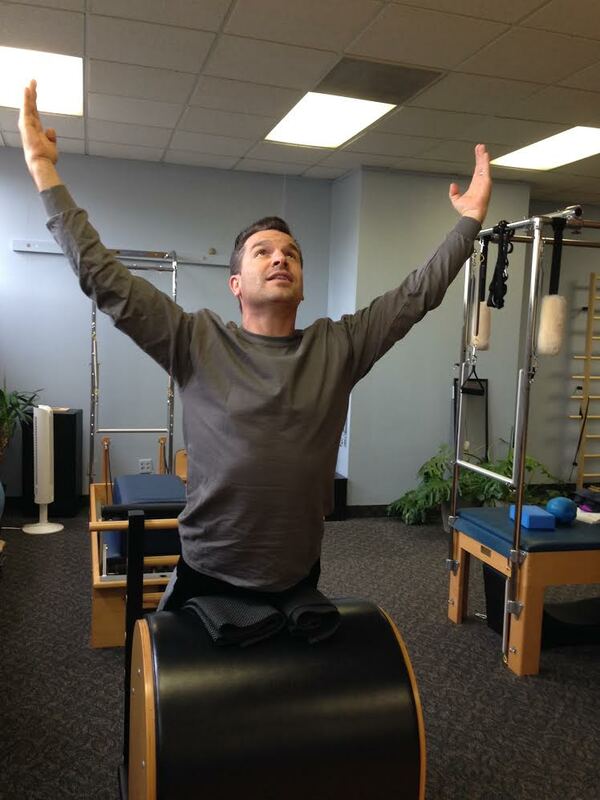 This improves movement and reduces the chances for injury and chronic back pain. According to a Medicine & Science in Sports & Exercise study, highlighted in Fitness Magazine, women strengthened their rectus abdominis (the muscle responsible for six-packs) by an average of 21 percent, while eliminating muscle imbalances between the right and left sides of their cores, after completing 36 weeks of Pilates training. Unlike many traditional weight-bearing workouts that build bulky muscles, Pilates strengthens and lengthens your muscles –- think long and lean -- improving flexibility and increasing the range of motion for your joints. Pilates exercises incorporate both strengthening and stretching, especially dynamic stretching where you’re moving as part of the stretch instead of holding the stretch. It’s an important combination that helps you maintain alignment and prevent injury. Building a strong core, strengthening and lengthening muscles simultaneously, developing a balanced musculature – all of these elements work together to increase your agility and range of motion, prevent injury and boost your performance, whether you’re a weekend warrior or an elite athlete. More and more athletes use Pilates to help them run faster, jump higher and improve the precision of their movements, particularly those in professional and Olympic sports. Kerry Walsh-Jennings, Olympic beach volleyball phenom, for example, credits Pilates with helping her regain her strength and fix body asymmetries after childbirth. Andy Murray, British pro tennis player, says Pilates helped him safely recover after back surgery to rebuild his core, speed and stamina. Let’s face it, most of us have some imbalances in our movements. The way we sit, walk and run can overwork some muscle groups while weakening others. This can lead to joint pain, lower back pain, shoulder and neck tightness, and more. As a gentle, low-impact form of exercise, Pilates is designed to address these imbalances. Exercises help build balanced musculature by strengthening the core. And a focus on pelvic and spinal alignment helps correct movements to avoid injury. Pilates is also flexible. Instructors can modify exercises to meet a wide range of needs – from beginner to advanced levels. 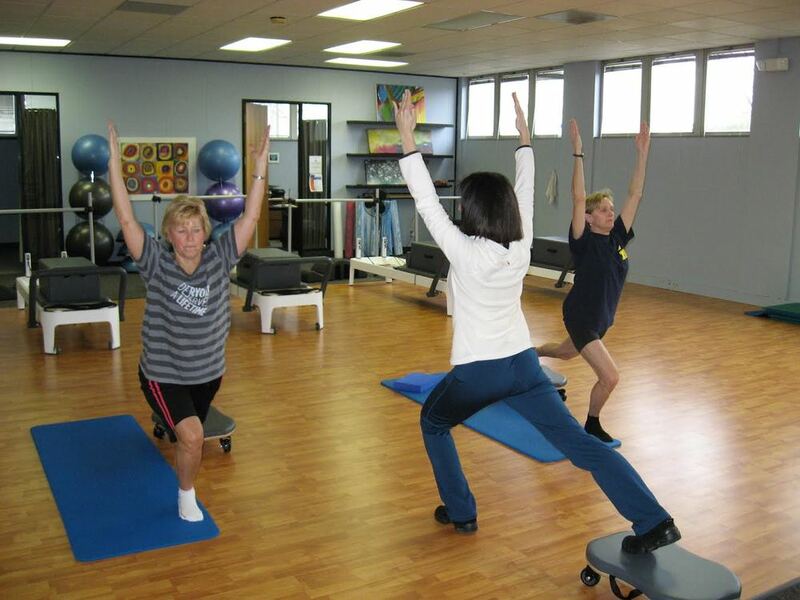 Even for pain sufferers or those who are working through a physical therapy program, Pilates is very effective for injury rehabilitation. Wouldn’t we all benefit from the opportunity to clear our minds? Pilates has that effect. With an emphasis on proper breathing, spinal and pelvic alignment, and smooth, flowing movement (emphasis on quality rather than quantity), you stop thinking about your grocery list, your family’s schedule or your next appointment, and really focus on how your body moves. (Find our more about the essential principles of Pilates.) This keen body awareness helps you learn to better control your body’s movements, awakening your mind and reducing stress. Setting goals and expectations for the new year can be a little daunting. Why not take some good advice? Enjoy the exercise you’re doing, try it with a friend or group, keep moving and fortify yourself with some mindful movement. Take what you learn from Pilates and carry it with you into your everyday life.